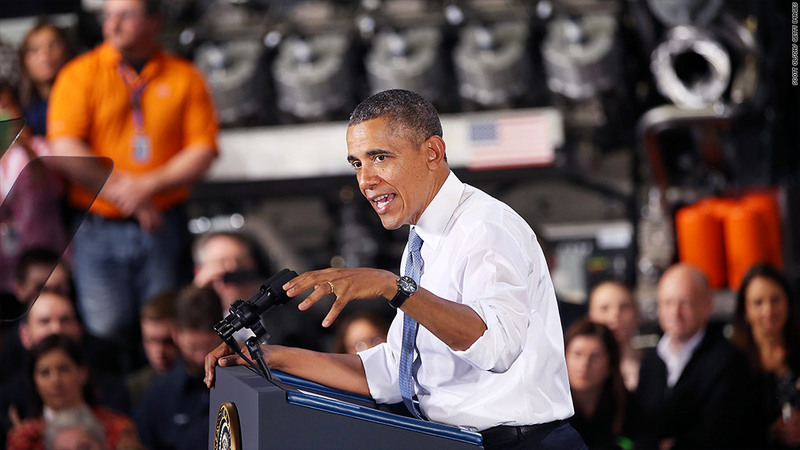 Will Obama pledge lead to jobs for unemployed? Will Obama's pledge get the unemployed back to work? President Obama rallied 300 companies and got them to agree they won't purposefully weed out job applications from the long-term unemployed. But actually hire them? Their pledge doesn't go quite that far. On Friday, the White House unveiled a pact signed by 300 companies that have agreed to implement new best practices intended to stamp out discrimination against the long-term unemployed -- generally defined as those who have been out of work for six months or longer. "Because they've been unemployed ... so long, folks are looking at that gap in the résumé and they're weeding them out before these folks even get a chance for an interview," Obama told CNN's Jake Tapper in an exclusive interview Thursday. They also agree to review their procedures so they don't inadvertently discriminate against applicants with long gaps in their résumés, and they commit to cast a broad net in recruiting. The question is whether these steps will have any meaningful effect. Will they lead to jobs or even help remove some of the stigma that the long-term unemployment face? Jamie May and Lena Rouse know that stigma first hand. Both have been unemployed for over a year now. May feels she's being discriminated against for two reasons: The gaps in her résumé and her age (she's 56). But in interviews, employers just keep telling her she's overqualified. "The discrimination is very covert. It's not blatant, but that doesn't mean it's not there," May said. "When I first read about the 300 companies, I thought 'it's just a bunch of talk'." Rouse would prefer to see the White House push for tax credits for hiring the long-term unemployed. "A pledge sounds like a waste of time," said Rouse. "Businesses are for-profit. If there are concerns about higher costs with hiring the long-term unemployed, then we should find financial incentives to make the long-term unemployed the preferred hires." Companies like Boeing (BA), Dell, Walmart, (WMT) Apple (AAPL), McDonald's (MCD)and Ford (F) have already taken Obama's pledge. But the White House also made clear that signing it didn't mean the 300 companies were discriminating against the unemployed. It's more about sending a message, said Mike Evangelist, a policy analyst with the National Employment Law Project. "I think it's an important first step," he said. "You're talking about changing attitudes, but it's not going to directly create new jobs." When reporters asked just how many people would be helped by the pledge, the White House wouldn't answer that question. "This pledge is saying that those who are long-term unemployed should get a fair shot," Gene Sperling, director of the National Economic Council, said on a conference call Thursday. As of December, about 4 million Americans were counted as unemployed for more than 27 weeks. Efforts backed by Obama to extend a federal program providing jobless benefits to that group fell flat earlier this month in Congress. New Jersey, Oregon and the District of Columbia already have laws in place, prohibiting job ads that discriminate against the unemployed. In 2011, the President tried to get Congress to pass a nationwide law, prohibiting discrimination based on unemployment status. Bills were introduced in the Senate and House, but little progress was made.